This is South Sydneys’ only black rated (hardest) shore dive. A 300m walk from the car park to the rock pool. Climb down the rocks and swim out in the channels between the boulders and you’re on your way. The swell must be less than 1m in order to dive this site! Many divers have experienced problems here trying to dive this site in less than ideal conditions. 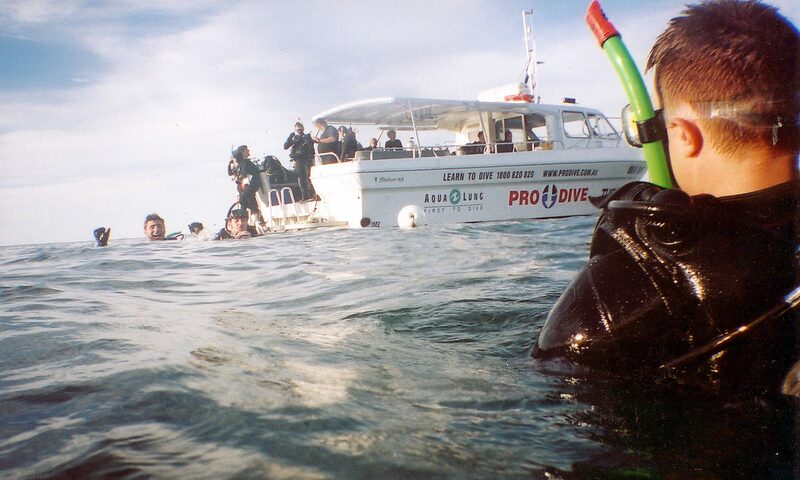 So please, talk to us at Pro Dive if you are in any doubt and we will let you know. What can you expect to see: Typography of this site is crazy good! Swim-thorughs everywhere! Oh, and Grey Nurse Shark have been spotted here amongst the huge schools of fish. Head towards the desalination plant in Kurnell, continue on down to the very end of the road which changes into a single track road with passing points. Carry on down the road to the car park at the end. From the car park make your way down to the large rock pool, its really obvious. Walk out on the big flat rock and step off the edge into the rock pool. Time your swim to let the ebb of the wave pull you between the rocks. Take a bearing of a roughly SW after you have swam for around 30m (there is a row of houses on Loftus street along the hill at Jibbon Point, take your compass bearing from these). The site always has a lot of surge, the first 5-7 minutes of the dive are at 3-5m so be prepared to move side to side, a lot. Follow your heading out and you should quickly find yourself in a long gutter with a prominent wall on the either side. If any of you reading this have ever dived Longreef, parts of this site are very, VERY similar. Within 10 minutes further swimming you should arrive at the ‘cathedral’ – a rocky overhang that is connected at either end, you can lie down on your back and watch the white water break on the top of or continue on down to 15m where the huge schools of fish hang out with the Weedy’s, Cuttlefish and Sharks. Whilst there are many other routes you can take at Voodoo, this site is extremely easy to get lost at. So following the route outlined in this post is your best bet as the Cathedral is the prime feature of this dive site. Following your reciprocal heading back up the gutter and ascend when you reach the 4-5m mark. The rock pool will be very obvious, fin hard and let the waves push you in. Climb on to the flat rock and make your way out having completed South Sydney’s hardest shore dive! This is a strong reminder not to dive this site if swell above 1m and dive with an experienced diver. 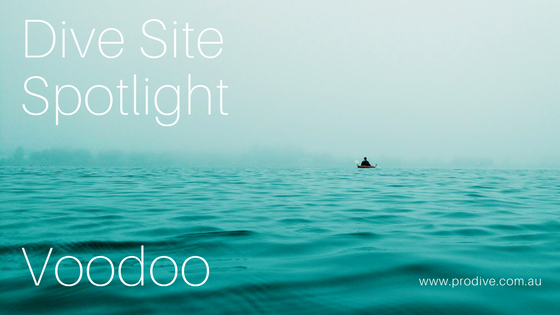 The first in a new series of posts providing an insight into Sydneys best dive sites. These blog posts are ideal if you are looking for somewhere new to dive or, have been considering diving at this location but wanted to know more about that site in particular. The first dive site that will be under the spotlight is The Steps at Kurnell. The car park for this dive site is signposted from the entrance so finding it is super easy, type in inscription point car park and google maps will take you straight there. Parking costs $8 for the day and tickets are available at the gate. Aptly named as you have to walk down a fair few stairs to get to the entry and exit of this site, so don’t leave anything behind! Set up your gear at the top of the stairs and make your way down to dive site. Entry and exit are at the same spot, the only consideration here is to time your entry with the ebb and flow of the swell. If there is white water breaking into the channel where you enter and exit, do not attempt to get in. Check the swell forecast before you arrive, anything over 1.4m in any direction or a SE/E/NE usually means you wont be able to dive this site. This site is best to dive during an incoming tide, swim out from the entry for 15m then descend down into around 5m of water. Swim down the boulders to around the 8-10m mark, turn right and swim along the sand/boulder line. Either take a compass heading at this point (E/NE) or put your natural navigation skills to use and swim into the current for the first half of your dive. The Steps is the primary Weedy Sea Dragon hangout and there are plenty to find here. Another tip is to take a really close look at the large rocks that interrupt the sand line as they are home to some amazing macro life – angler fish, pipe horse, sea moths and nudibranchs to name but a few. These creatures are extremely fragile so please mind your hands and feet! As you get to about 110 bar you want to think about turning around, either swim back the way you came or head up the boulders to the 5-6m mark and follow this line back in whilst performing your safety stop. The other option is to drift all the way around and get out at the Monument, this will take you around an hour and is for the more experienced diver who is better on their air. We will review the Monument at a later date! 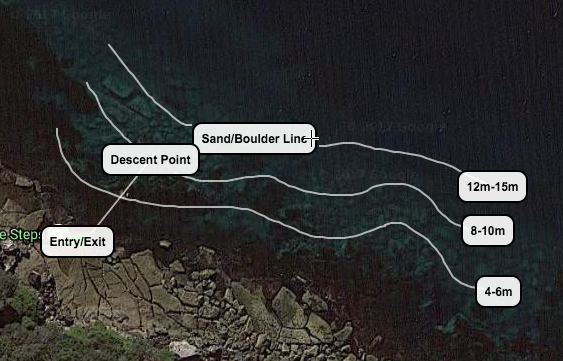 To summarise this is a dive site that is really easy to navigate, a good tip is to note the lack of kelp when you descend – when the kelp beds disappear you can start ascending. Just be careful getting in and out. There is nobody out there who particularly enjoys being cold – and the idea of being cold in the water is what can put people off diving during the winter. 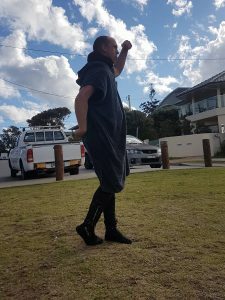 If you are reading this and feel like that might be you, let me tell you that you are missing out on some of the best diving conditions that Sydney has to offer. These colder periods produce water that transforms to an amazing shade of blue, wth days when visibility can reach up to 20m are not uncommon. So get yourself out there and avoid being cold by following our top 5 winter diving tips. For exactly the same reason you wont be heading to Threadbo in your swimmers, layering up is a sure fire way to stay warm in the water. You lose between 30-40% of your body heat through your head, hands and feet. Adding a hood/hooded vest, gloves and socks will significantly reduce the amount of body heat lost in the water – meaning a warmer, happier diver!We recommend the Mares Flexa Vest combined with the Mares Classic 3mm gloves and 2mm socks. Another option is using a Dry Suit. Dry Suits are an amazing piece of technology but also require correct layering to remain warm in the water. Using a Dry Suit does require some specialist training, if you already own a dry suit and want to learn more about how to use it please contact your local Pro Dive. Arrive at the shop/boat with plenty of warm clothing and a dry bag to store it all in. Remember, when you finish your dive you will want a change of clothes that is easy to put on. Track pants, sloppy joe, beanie etc. Bring extra with you just in case. If you are diving from the boat, wind-chill will be a big factor you must consider. We recommend wearing a Sharkskin Chillproof vest, these are wind proof, fleece lined and rapid drying making them the perfect layer to beat the chill on the boat. Ideal for the time on the surface when you are refuelling between dives. Taking your wetsuit off to half way and putting one of these on means your wetsuit gets a chance to dry out a bit and so do you. Drying out between dives slows down the cooling effect in the water on your subsequent dive. Stay dry and sip your halftime soup in style just like the team at Pro Dive Cronulla, they love them that much the whole team has one. The holy grail of winter diving is a thermos filled with soup. Refuel and reheat from the inside out with a warm cup of soup. The physiological and psychological benefit of eating/drinking something warm between dives will mean you enjoy the second dive significantly more! Try not to eat anything too heavy between dives to avoid stomach discomfort – making soup the perfect winter diving companion. Alright readers, the part you’ve all been waiting for. You are about to learn to a dive professional’s winter diving secret. This is a game changer. Get a large water bottle (4 or 5L) fill with very warm water before you head out – think hot tap only in the shower. Check the water isn’t too hot (don’t want anyone burning themselves) if its good to go, take your wetsuit off to half way, pour the water all over you, then throw on your poncho towel and get into dry clothes ASAP. By the time the warming effect of the water wears off you should be in the car or back in your clothes at the very least! And there you have it, the Pro Dive top 5 winter diving tips. Simple stuff but it WILL keep you warm in the water this winter. If you liked the blog, please share with your dive buddies. Scuba Diving in Sydney – What can you expect to see?